COME SHARE A VISE WITH ONE OF THE BEST IN THE BUSINESS! Trouts is proud to partner with Umpqua Feather Merchants and offer our unique fly tying series and give you the opportunity to sit down and tie with the who’s who of the tying industry. 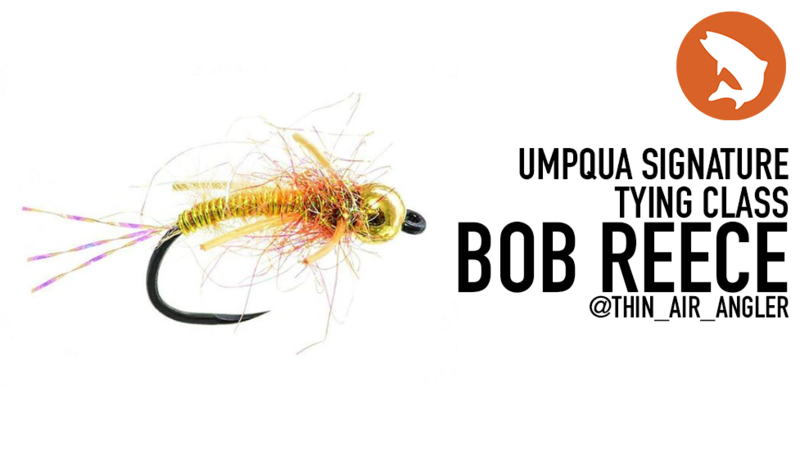 We are very excited to welcome Bob Reece to our 2019 Signature Umpqua Tier Series! Bob is a busy man. In addition to being a Signature Fly Designer for Umpqua, he is a teacher by trade with a Bachelor's Degree in Biology and a Master's Degree in Natural Sciences. Additionally, he guides on Horse Creek Ranch in Southeast Wyoming during the summers, is a Field Editor for Fly Fusion Magazine and writes for Gink & Gasoline. You can follow along with Bob on Instagram (@thin_air_angler) and on his website, as well. Bob's signature patterns are buggy, to say the least. Mr. Reece has Reece's Fusion Nymph, Reece's Rolling Stone, Reece's Beefcake Hopper, and the Masked Bandit to his name. Here’s your chance to take your tying to the next level. Our small class size (6-participants), allows you to share a vise with one of the best in the business. No vise, no worries we’ll have extras. Materials will be available for purchase. *Space is limited on this so don’t delay and sign up.